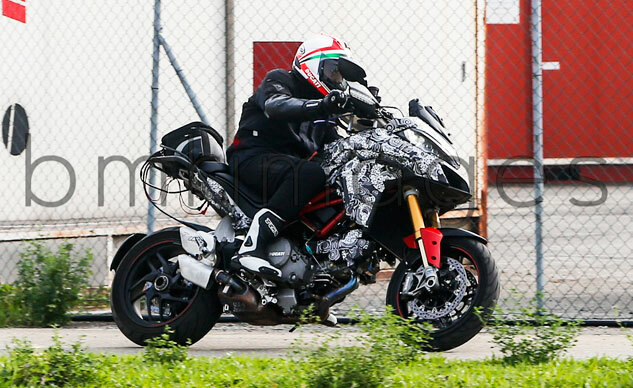 2015 Ducati Multistrada 1200 DVT Spied! 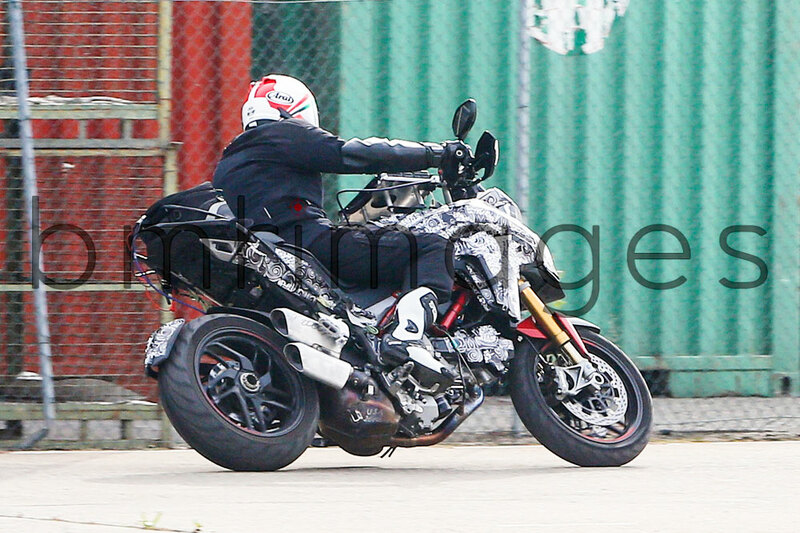 A spy photographer has captured a new Ducati Multistrada 1200 undergoing testing, confirming it will use the Testastretta Desmodromic Variable Timing (DVT) engine. Despite the hallucinogenic camo pattern, we can make out the shape of the recently revealed DVT engine. The new valve train independently adjusts timing on both the intake and exhaust valves using an adjuster fitted on the end of each camshaft. At high rpm, the system increases the amount of valve overlap, maximizing performance. At lower engine speeds, the overlap is minimized for smoother, more fluid power delivery. According to Ducati, the 1198cc Testastretta DVT engine has a peak output of 160 hp at 9500 rpm, or 10 more horses than the current Multistrada’s engine. 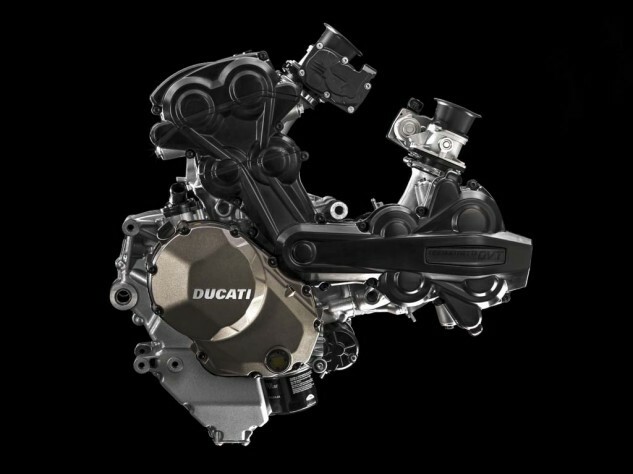 Ducati also claims an additional 9 ft-lb. of torque, topping out at 100 lb-ft. at 7500 rpm. The engine isn’t the only thing that has changed. The steel trellis frame is new, as is the rear subframe which appears to be lower than on the existing model, making for a shorter seat height. It’s difficult to make out with the camo pattern but the fairing has been changed. The radiator shroud has a different angle, revealing more of the inverted fork, now anodized in gold and with new brake caliper mounts. From the front, we can see a gap in the fairing between the two headlights. The ubiquitous ADV-style beak looks new with a broader shape with more angular nostrils. The wheels look identical to those on the current model. The under-engine muffler also looks revised, with the “U.S.A.” chalked onto it suggesting Ducati was testing exhaust components designed for American emission standards on this prototype. We’ll likely have to wait until EICMA in early November for Ducati to reveal official information about the new 2015 Multistrada. Ducati will present its new models on November 4. Enter your ZIP code below to get a free insurance quote. Get price quotes for Ducati from local motorcycle dealers.